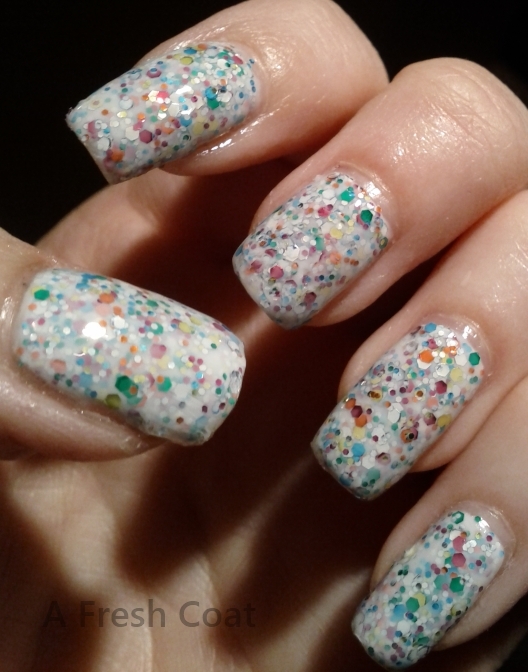 I figured this polish would be fitting to show off since I think it looks kind of Easter-ish…. like a Easter bunny blew up at a party. I wanted to amp up the jelly white in this polish a bit, so I started off with a base color of two coats of Nfu Oh JS04 (Jelly Syrup). 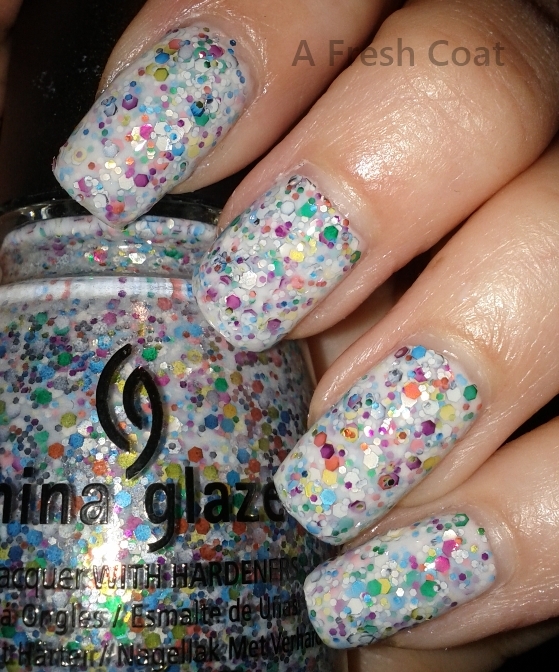 Next, I painted three coats of China Glaze – It’s A Trap-eze! Lastly, it was finished off with a thick coat of Seche Vite – Dry Fast Top Coat. The actual polish on its own requires three or four coats to get nice nail coverage because the polish is a sheer milky white color. It’s so fun just to look at! This is the most amazing glitter polish I have ever applied! Usually, I have problems with glitter staying in one spot and not properly spreading onto the nail. This polish went on nice and even with no problem at all. I highly recommend it if you ever have problems applying glitter polish.